Three contestants compete in the annual Madison West High School spelling bee. 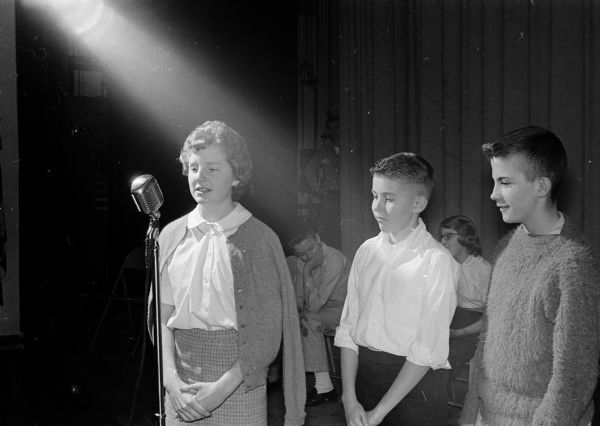 Left to right are Gretchen Crownhart, Jim Underkofler, and Bob Eccles. One of seventeen images. Published in Wisconsin State Journal March 19, 1961.